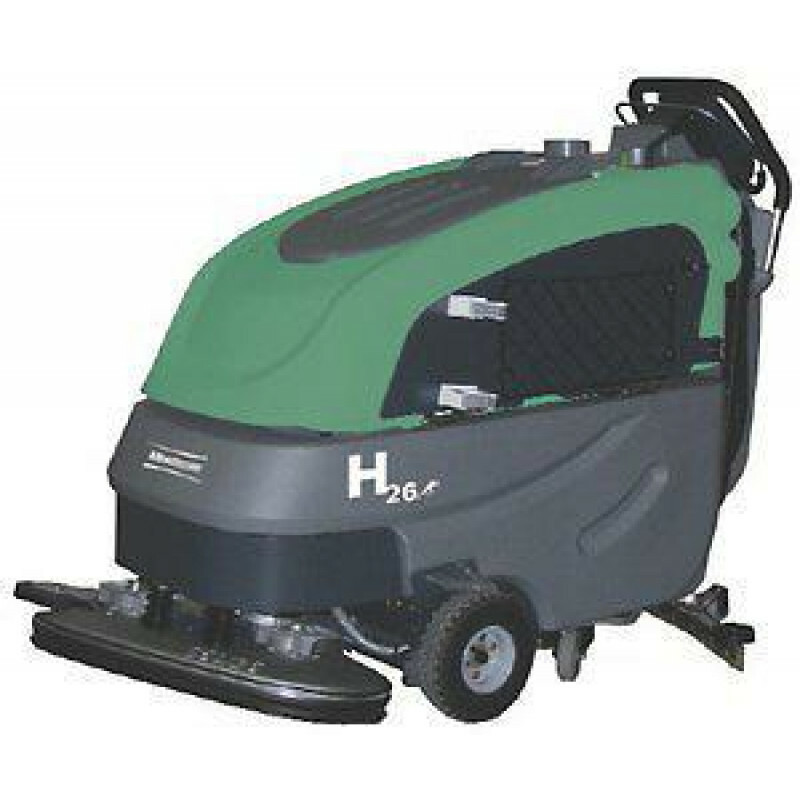 The Minuteman H26 automatic scrubber is ideal for cleaning large areas, but is still compact enough to fit in elevators and easy to handle in tight areas. This Minuteman hospital scrubber not only allows you to clean your floors, but also has the ability to carry any additional cleaning tools in the on-tool clean caddy so you can get the job done in less time. This 26" walk behind scrubber can clean upwards of 26,000 square feet per hour, which is a considerably large area. We recommend this scrubber for hospitals and healthcare facilities because of its quietness (only 66 dBs) and anti-microbial recovery tank. If you are looking for our standard 26" machine, please take a look at our 26" self propelled auto scrubber. Take a look at our complete line of walk behind floor scrubbers for other options including more Minuteman professional floor machines. Adjustable spped regulation allows the operator to scrub at their comfort level. Tools free brush removal and installation make it extremely operator friendly. The operating console is simply designed for operators of any origin. 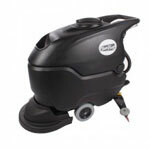 Low decibel operation allows you to clean in any area at any time of the day! Clean out solution drain hose allows the operator to easily remove all water from the solution tank and also acts as a sight hose to indicate the amount of solution in the tank.